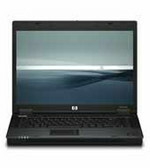 Business professionals will be disappointed with its limited features, but the solid corporate stability and excellent build quality of the HP Compaq 6715b make it ideal for corporate roll-outs. You would be forgiven for thinking, after seeing all the TV advertising, that the only notebooks you can buy are powered by Intel processors. But there are AMD alternatives out there and some offer good value for money. 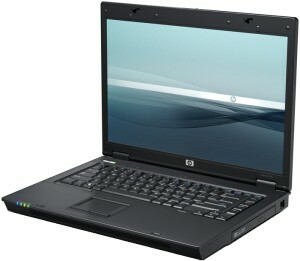 One of the latest in HP's Compaq business range is the AMD-powered 6715b, which offers a good set of features for under £650. For the small business on a limited budget, the Compaq 6715b is worth looking at, as it offers a good set of features including some serious security. It all comes for a decent price, although weighing as much as it does, it may be limited in its on-the-road appeal. ATI Radeon Xpress 1250: Chipset graphics based on the dedicated X300. These graphics cards are not suited for Windows 3D games. Office and Internet surfing however is possible. » Further information can be found in our Comparison of Mobile Graphics Cards and the corresponding Benchmark List. 65.25%: This rating is bad. Most notebooks are better rated. This is not a recommendation for purchase.